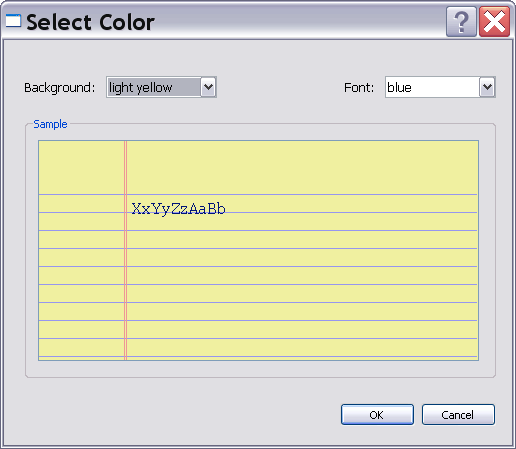 The pad starts as the default color, usually yellow. But the color can be changed to white, ivory, or pink. The text can be black, blue, or red. The inset will show an example of the style. 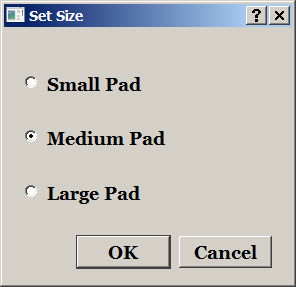 The pad starts as a medium pad which should occupy about one fifth of the screen horizontally. The latge pad will go to one third of the screen. 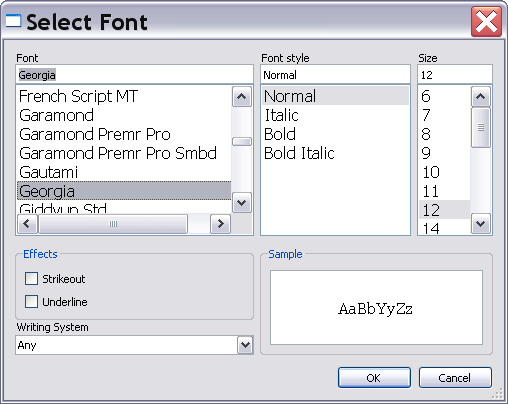 The font can be any font loaded on the system. The default font is Georgia. The line width on the pad will change with the font size to accomodate as many lines as possible. A really large font will give very few lines. Copyright © 2019 Geer Mountain Software Corp.